Had an all American Halloween this year. The patriotic team: Nitro, Turbo, and Superwoman. These guys clearly don’t get the crappy user experience they are creating and as a result, I am flaming them. I usually don’t get this fired up, but this is just retarded… not to mention wrong. 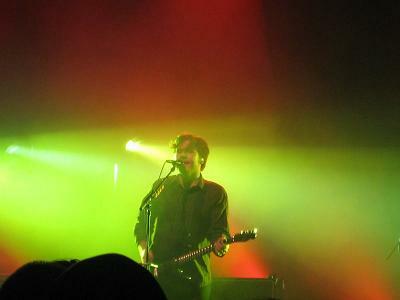 Saw Jimmy Eat World this past weekend at the Fillmore. They rocked the house. If you don’t take my word for it, Jess also thought it was a pretty awesome concert too. My coworker Lenore makes some fantastic hand-made jewelry. Sorry guys, she only makes stuff for women but you might find something good for your special lady friend. Anyway, check out her items on ebay with this sweet widget!